Steve Strongman truly shines on this, his fourth album, an acid blues rock wafer, soaked in scabrous wit and heaps of attitude. “No Time Like Now” is a feral mix swampy rock, soul and even gospel, all wrapped up in an aluminium foil of electrifying blues. It’s no easy feat mixing all flavours mentioned into one happily boiling pot of soup; nonetheless Strongman delivers the goods with emotional potency and resourcefulness that’s hard to match. That said, this is not your regular “white hat” blues trip. 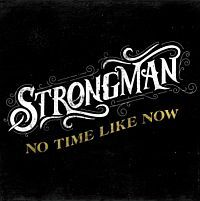 With the stunning “Bring the Hammer Down” giving way to contemporary blues rock chops, the record marks Strongman’s importance as a modern day blues troubadour. Inevitably his guitar playing is dazzling, while standouts like Money in the Bank“” and “Love Love Love” suggest a mercurial mind at work. “Sometimes” is a hallucinatory slow cooker with depth and colour – imagine Peter Green raised on Ry Cooder. “I’m A Man” is a taut, raw funky beast that’s guaranteed to give you goose bumps; meanwhile, the cover of Bachman Turner Overdrive’s “You Ain’t Seen Nothing Yet” (featuring Bachman himself) is all blues gravy with a side order of grits. Tasteful!